Elizabeth from E-beth Designs just released the new Lorelei Women's Dress Pattern (affiliate link). It is just gorgeous and I was able to test it. 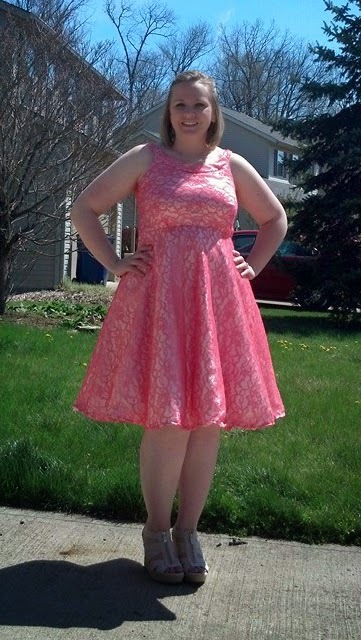 I made this year's Easter dress with this pattern. This dress ranges from a 00-20 with an A-DD cup size. There is no FBA needed for this pattern. The way the pattern is set up printing just your size is super easy as well. There is tulle added to the lining of this dress to give it that something special. I used tulle mesh for mine to make the layers stand out even more. If you are taller or short like me (5'4") there are instructions in the pattern to get just the right fit without doing a ton of extra work on your own. Once you make your muslin and test that the fit is just right it actually comes together pretty quickly. I was able to make my satin and lace version in one evening (uninterrupted of course). This dress is great for dressing up or everyday depending on the fabric you choose. 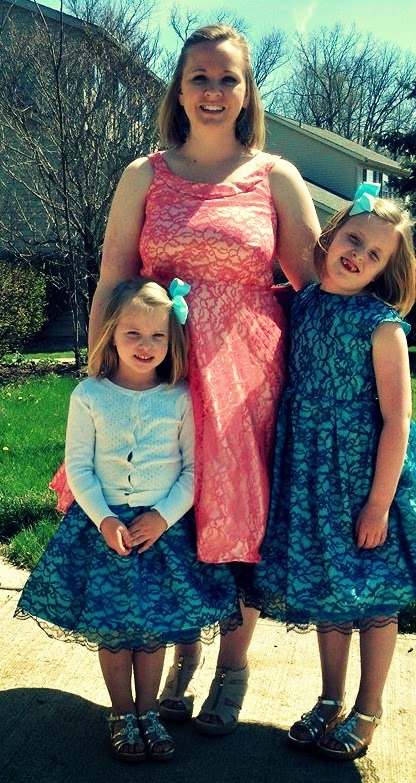 Here's me and my best girls on Easter in our lace dresses. 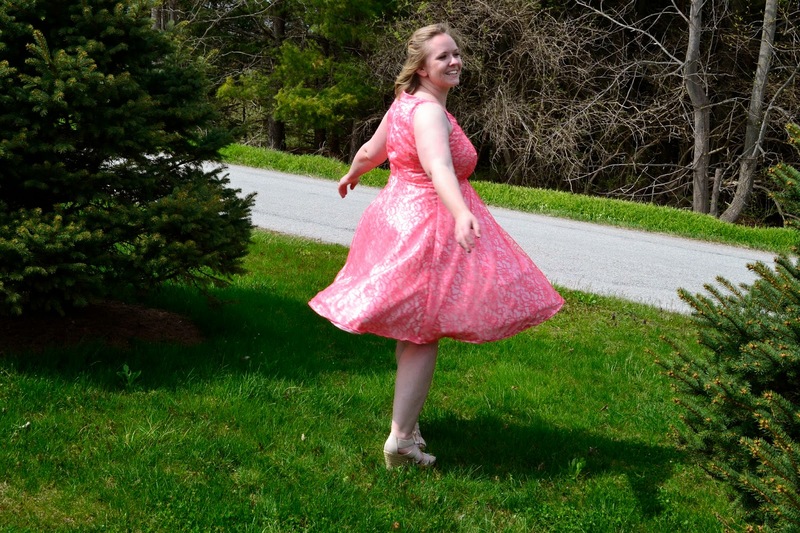 They are both wearing the Caroline Party Dress (affiliate link) by Mouse House Creations. This dress is PERFECT on you!! I can't wait to make one for myself soon! Looks so pretty! This is totally on my schedule to sew up next month. It's actually a pretty quick sew. So pretty! And your girls dresses are great too! beautiful dress! I always need a fba, so this dress would be perfect! Seriously you should definitely get this one. Oh my heaven. That dress is gorgeous. I would walk into a store and be happy to buy something that amazing. If your husband isn't already back, you need to wear this for him when he returns. You are stunning (and talented). You are so sweet. Thank you. It's definitely the fanciest thing I've ever made.